Winter hasn’t run it’s course and in Iowa, we are all about comfort food this time of year. 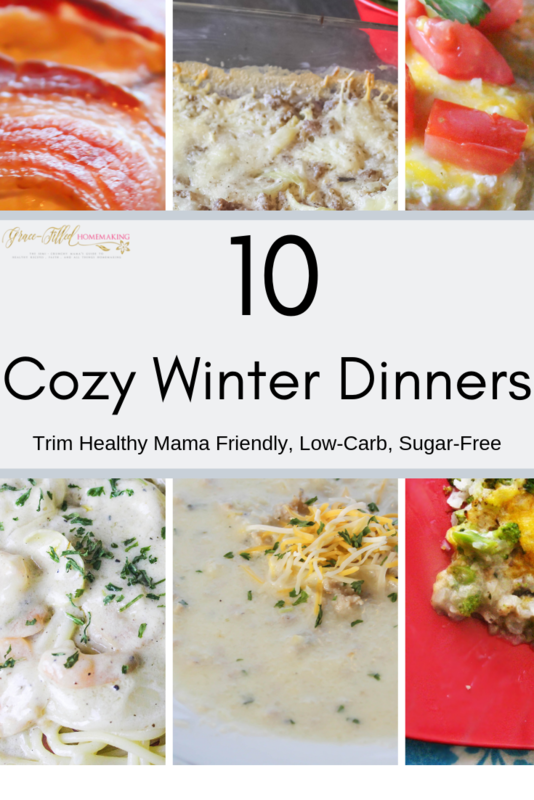 Cozy Winter dinners like hearty soups, delicious casseroles and decadent bakes all seem to make chilly nights a little bit better. I’ve lived through 25 Midwest Winters (lol!) and I love creating cozy recipes to bring my family around the table. 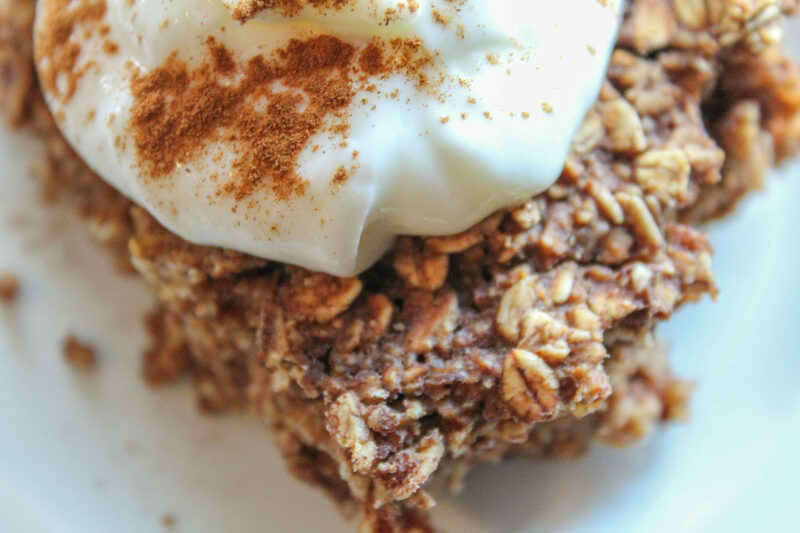 These recipes are Trim Healthy Mama friendly, which means that they are also waist-line friendly! In classic Cate form, the recipes are simple, family-friendly, and budget-friendly. I’ve also included my favorite way to serve each dinner, along with a side dish idea or two. My Creamy Chicken Broccoli and Rice Casserole tastes just like your childhood favorite gone healthy! This dish uses cauli-rice and it really hits the spot. I usually serve this on its own! 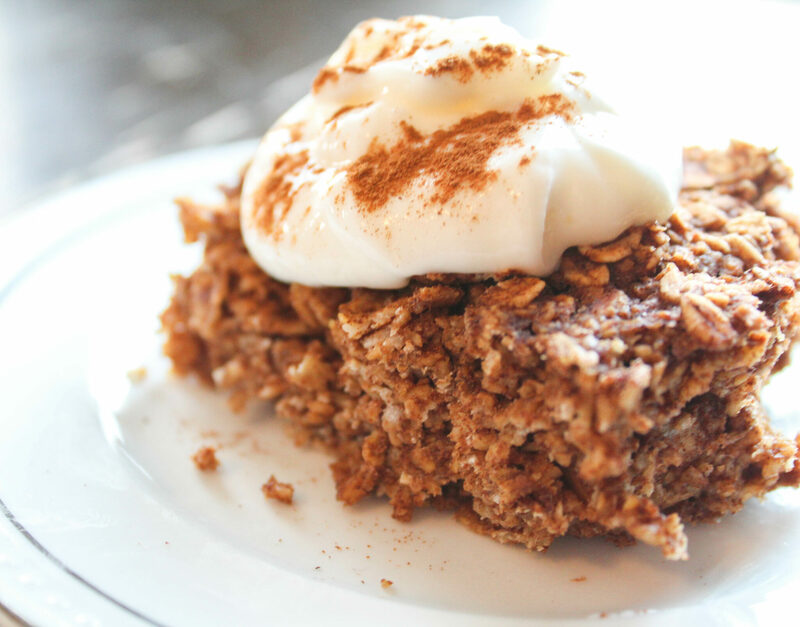 Click here to find the recipe! My Bacon Swiss Chicken Bake is simple, yet decadent. This dish has mushrooms, swiss cheese, bacon and an ingredient that gives it a smokehouse flair. I like serving this dish with a side salad and some green beans. Find the recipe here. 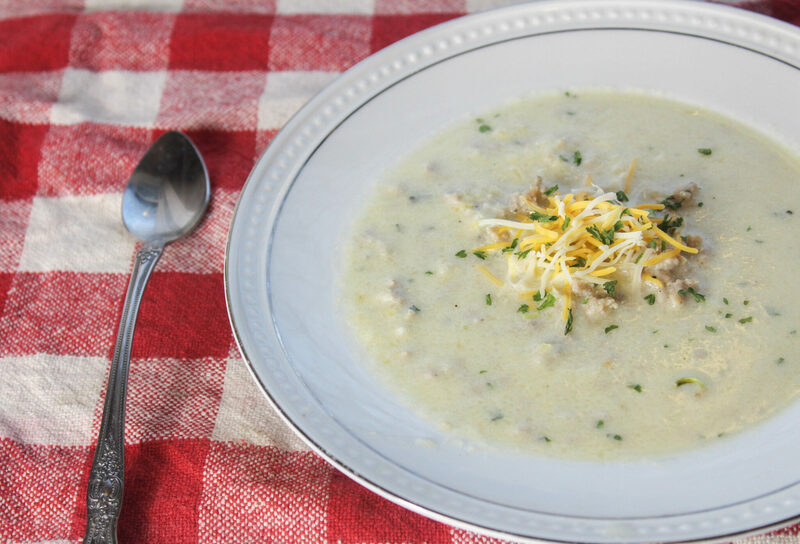 This Chicken Bacon Ranch Soup tastes creamy, but is veggie based! I’ve had people swear there were potatoes in it, but no! Cauliflower shines here. This soup is fine on its own, but feel free to add a small side salad if you wish! Recipe is found here! My Creamy Lemon Garlic Shrimp is my husband’s favorite meal of all time. It’s so decadent and because it requires a couple of pricier ingredients, we prefer to save this for date night. I serve this over Dreamfields noodles with a Caesar-style salad. Find the recipe here! My Cheesy Beef Stroganoff Casserole is another family fave. You can put it over a salad, spaghetti squash, or Dreamfields pasta. We like to eat this with some roasted cauliflower. Click here to check it out! This Loaded Sausage Fotato Soup is surprisingly light in calories. It tastes really creamy and the flavor profile is superb! It also feeds a crowd. I think we had leftovers for days! 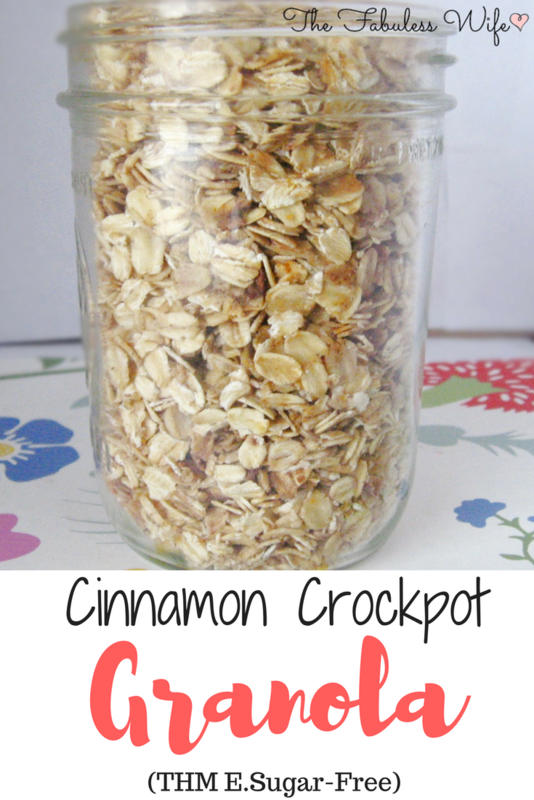 You can serve this with an “S” friendly bread, or even a slice of sprouted toast for an S Helper. Find the recipe here! Smothered Chicken Verde Burritos are reminiscent of your typical loaded burrito. They’re smothered in a creamy, spicy sauce that is to die for! My kids enjoy this with baked blue corn tortilla chips. I like to add some raw veggies like cucumber to my plate as a crunchy side. Check it out here! Bacon Cheeseburger Meatloaf will easily become one of your family’s new favorite meals. What could be better than a super big cheeseburger? 🙂 This tastes best served with green beans and mashed cauliflower. Find the recipe here. I’m a huge fan of this Fiesta Rice Casserole because it’s so versatile. I’ve successfully used chicken OR ground beef/turkey in this dish and it’s turned out great. Check it out here! Bacon Ranch Bombs are one of those dinners that come across as super complex but is actually easy-peasy. This dinner will wow any guests, particularly of the male variety. I serve these chicken bombs with a side salad and roasted, buttered broccoli. Get the details here! Winter might not be SO bad with great dinners like this to warm me up. What’s your favorite meal to serve in the Winter? Let me know in the comments below! 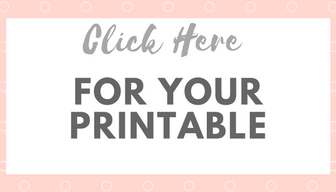 My HUGE (Printable!) 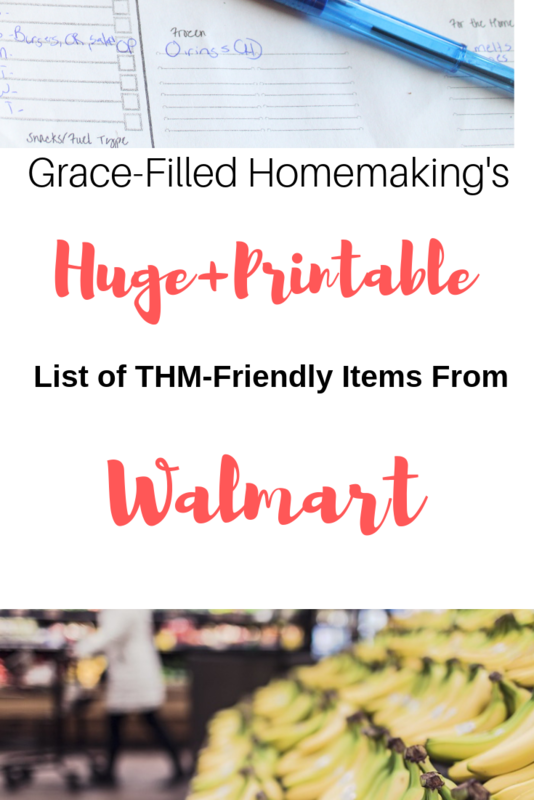 List of THM-Friendly Items from Walmart! I must admit, this post has been a long time coming. 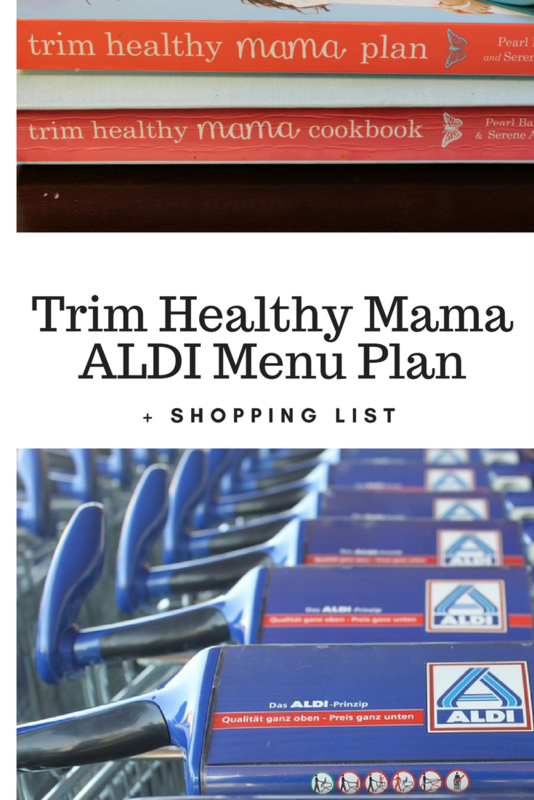 After I published my HUGE printable list of everything THM-friendly from ALDI, many of my readers requested the Trim Healthy Mama Walmart version. I totally get that! For years I didn’t have an ALDI in my area, but I did have a Walmart and that was where I did the bulk of my grocery shopping. These days, I shop the sales at my local Hy-Vee, then I do the rest of my shopping at ALDI. Needless to say, it had been a hot minute since I grocery shopped at Walmart! My ALDI is closed for remodeling though, so I thought it was the perfect excuse to get this blog post crossed off my list. 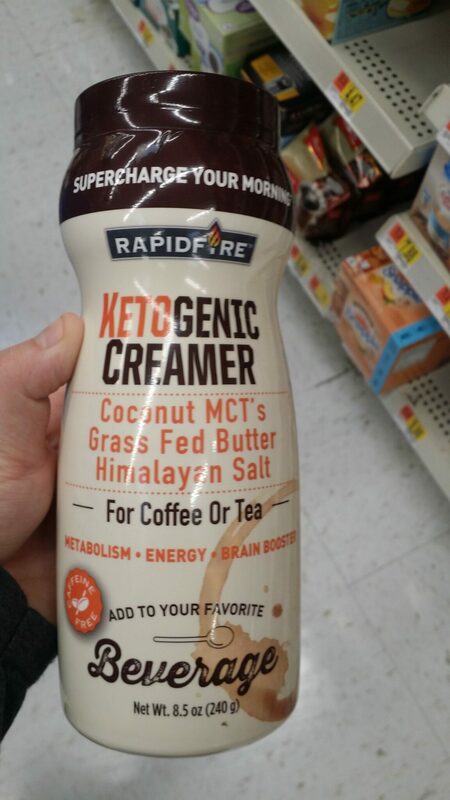 This is a ketogenic coffee creamer in powder form! It has three ingredients: MCT’s, Grass-Fed Butter, and Himalayan Salt. This cost around $12 I think. This is an “S”. From the same brand! 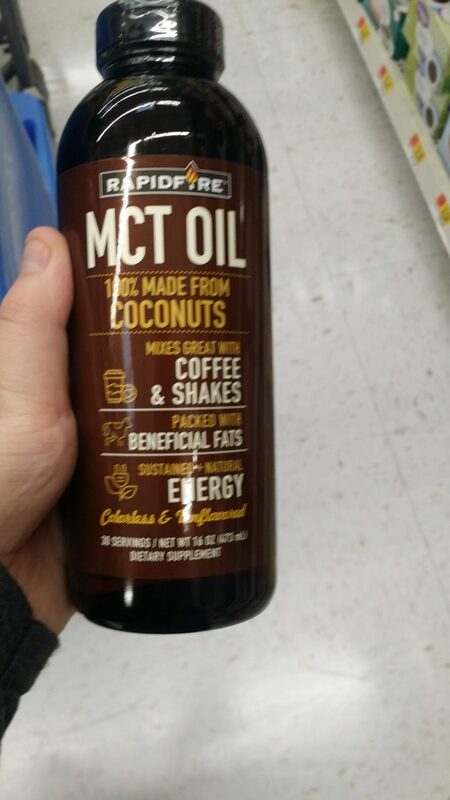 This is regular ol’ MCT oil. 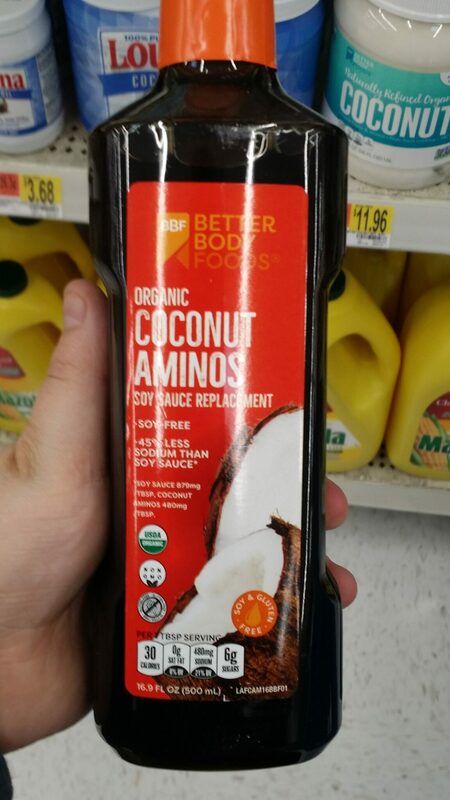 It’s found by the coffee things like the ketogenic creamer. I can’t remember the exact price, but I think it was around $15. 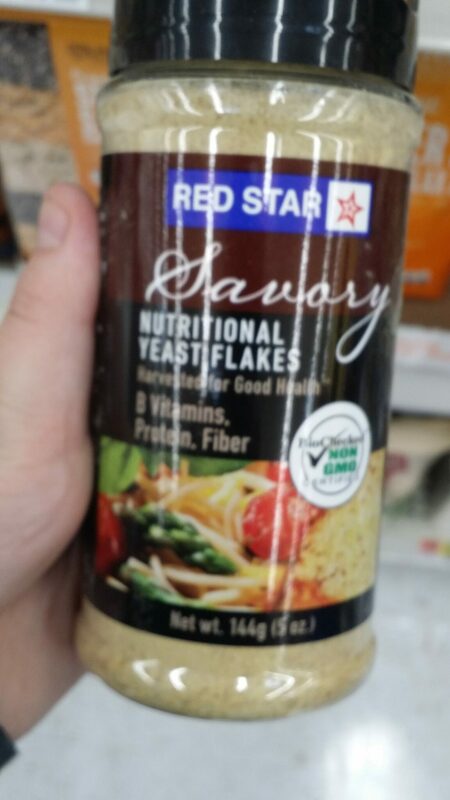 This is an awful photo, but here’s some nutritional yeast! 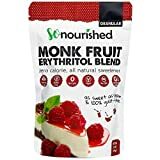 🙂 I have personally used this brand and I do like it! This sweetener is literally just stevia leaf extract and water. I think it would be perfect to take in your purse! Walmart also carries the Pyure brand of liquid stevia, which I love. 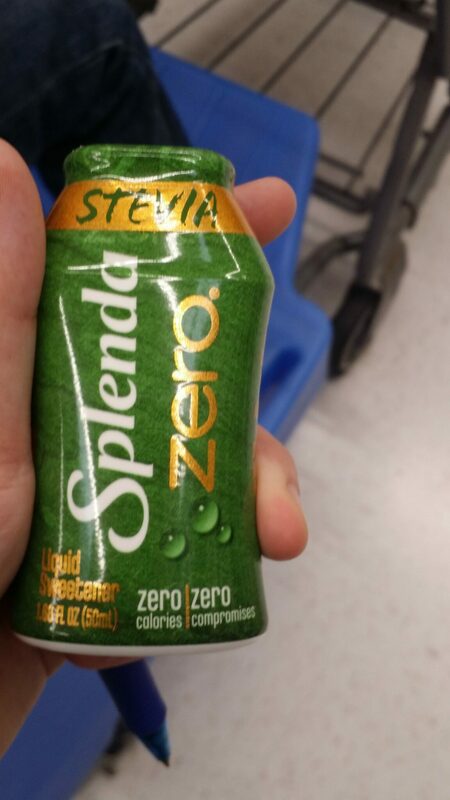 Be sure you get the green container because the other variety of Splenda Zero contains sucralose! Please keep in mind, that Walmart stores vary across the nation. Your Walmart might have MORE THM-friendly items than mine does, or it might carry less. Prices also vary based on region. Okay, on to the good stuff. If you click the graphic below, it’ll take you to a document that you can print for your own personal use. This is a master list of everything THM-friendly at Walmart. I’ll add to it over time as I remember more things, but it’s a great starting point to help you stock your Trim Healthy kitchen. I hope you like it! 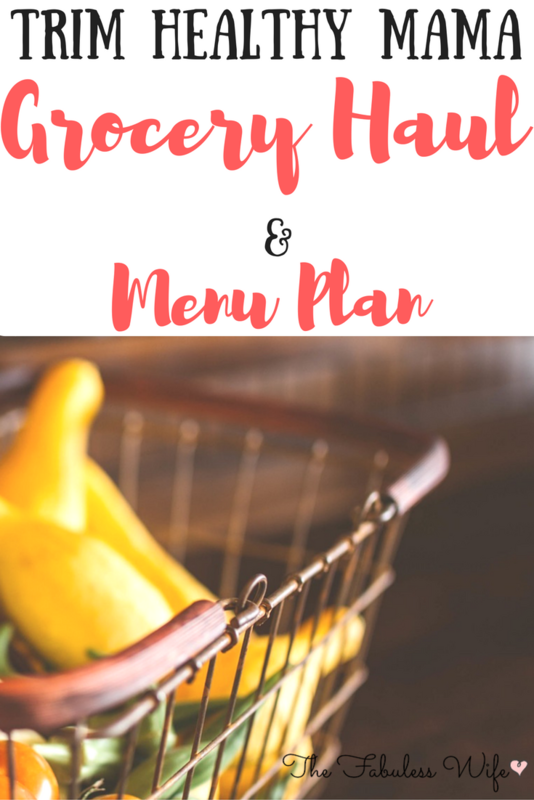 If you have an ALDI in your area, you’re going to appreciate this no special ingredient ALDI meal plan, featuring ingredients you can find at your local ALDI store. 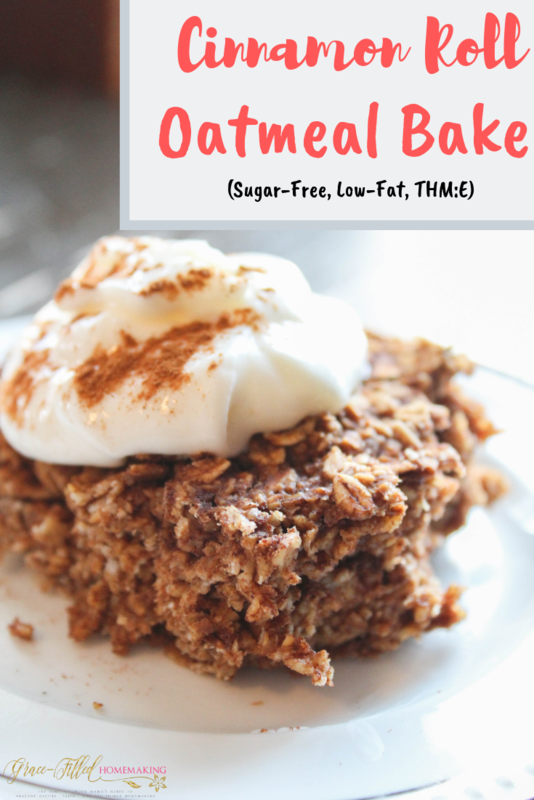 Every recipe in this meal plan is found online, which makes this a great plan for those of you who are waiting on your THM books! 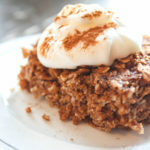 Each recipe comes from either myself or a veteran THM blogger that I know (and love!) and is guaranteed to be on plan. I also created a shopping list with ALL of the ingredients you need to get at ALDI. Don’t be intimidated by the size of the shopping list. Chances are, you have many ingredients like salt, pepper, spices, etc in your cupboards already. I just wanted to be thorough and absolutely make sure you have everything you need for the week! 🙂 I’d say this meal plan would serve 6-8 people. Look over the recipes, take a peek at the shopping list and adjust the ingredients as needed. Coming from a large family and having two growing boys of my own, I know that each family’s needs differ greatly! I tried to include a veggie with each dinner to make sure this ALDI meal plan is as trim as possible. Curious about what you’ll be eating this week? Check our your ALDI Meal Plan! I’m drooling just looking at this menu plan! Download your copy AND shopping list here! There aren’t many things in life that are better than going into your favorite coffee shop and purchasing your favorite steaming drink and cozy pastry. 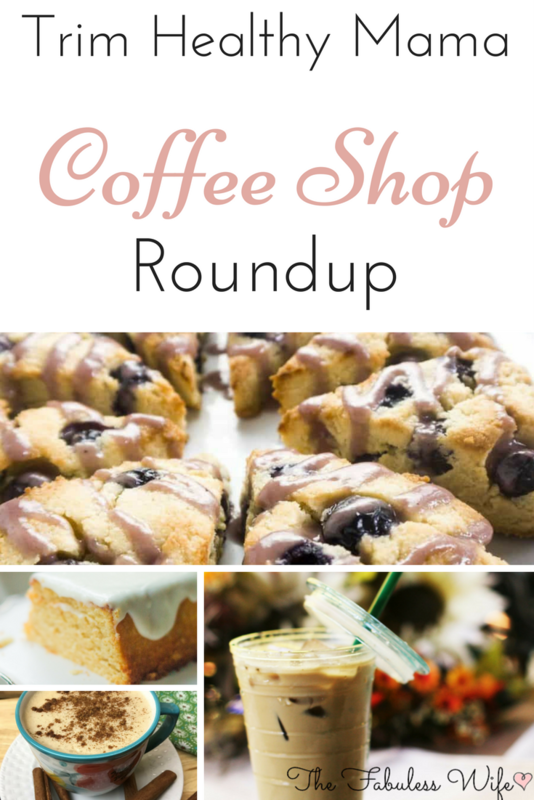 Bring that feeling home and stay on plan with this roundup of coffee-shop inspired drinks and treats from my favorite THM bloggers! I’d highly recommend following their blogs to stay updated on their latest creations. If you enjoy my blog, you’ll enjoy theirs as well! 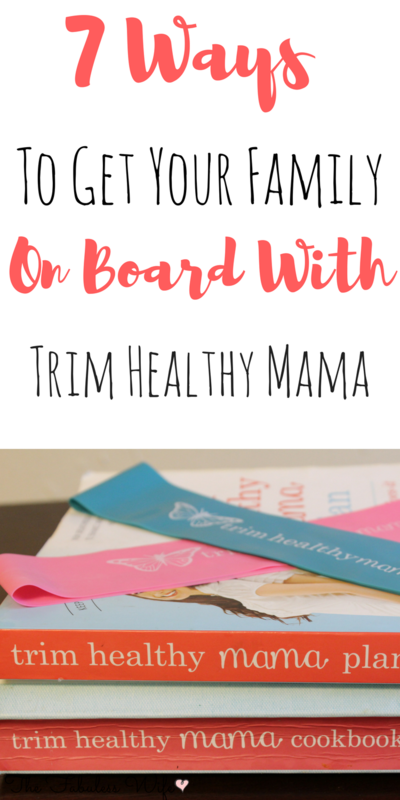 So, you’ve started Trim Healthy Mama. You feel great, you’re super pumped to share it with everyone..starting with the beloved people under your own roof. You expect your family to react with the same joy you have, yet you’re met with looks of disdain and untouched plates. This has been me a few times. I’m a blessed wife and Mama to two little boys. All of my men are extremely opinionated and they love their food! In the beginning, I was running myself ragged trying to cook multiple options for everyone. Now, my little guys eat on plan nearly 100% (except for treats, when we eat out and other toddler-esque occasions.) and my husband, when home, eats on plan. And truthfully? They have no clue that they’re eating any different than they normally would. It’s been trial and error, but I’ve come up with some awesome tips that have made this transition easier and enjoyable for everyone. If your family is set in their ways and not totally open to a lot of new recipes, think in terms of substitution rather than a total overhaul. Instead of using regular pasta in your spaghetti or alfredo, use Dreamfields. Switch to low-carb tortillas for taco night, and substitute a sweet potato for that starchy white one. The trick at first might be to keep meals as “normal” seeming as possible. If your family sees you having an awesome attitude about the plan they’re going to be more likely to join in themselves. Do your best to not complain, to talk about the positives you’re experiencing (even if you have yet to lose a pound!) and to show your family just how fun it can be. If you’re trying to eliminate cheats, show your family healthy alternatives by passing up the dessert table yourself! Cut veggies and fruits into fun shapes. I do this with toast too! If your husband or child goes off plan, don’t guilt-trip them. Remember that everyone needs grace and that the three-hour rule applies to everyone! This attitude of grace over perfection is going to give your family a healthy lifestyle stress-free. You guys, I pushed my husband SO much at first and it backfired. He was super unhappy, he was eating more fast food than usual (because he was sneaking it!) and there was so much tension. When I sat down with him and came up with a compromise things worked better. We decided that at home, he eats on plan. At work, he does his thing. Is this the perfect compromise? Absolutely not! But it’s saved a lot of heartaches. 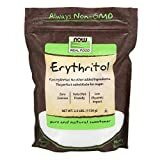 My list of picky kid/husband approved THM snacks! 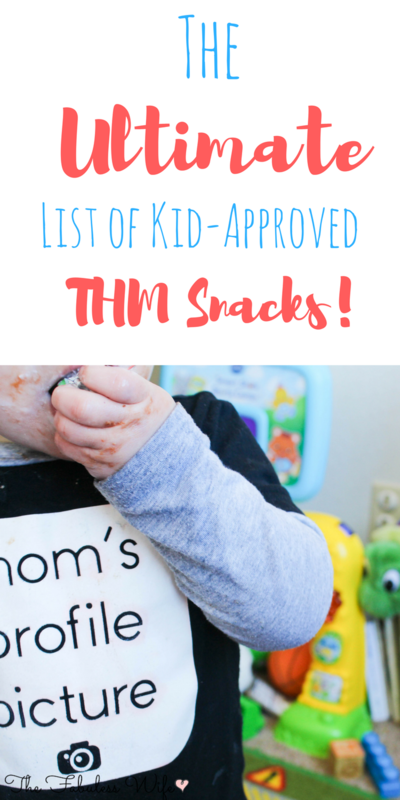 The Ultimate List of Kid-Approved THM Snacks! I hope this helps you in your journey to better your families health! 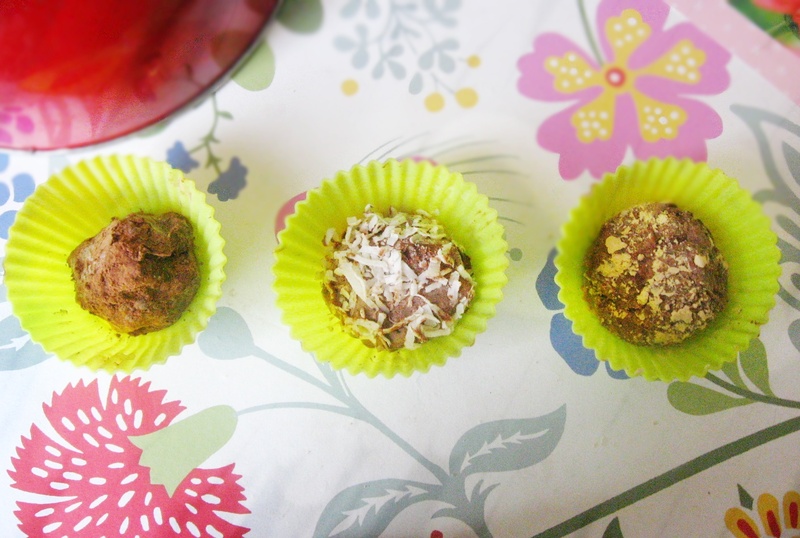 What are your kids favorite healthy snacks? Sometimes, it’s easy to get stuck in a healthy food rut, especially when you’re on a tight budget. When that happens, I like to look to other people for inspiration! 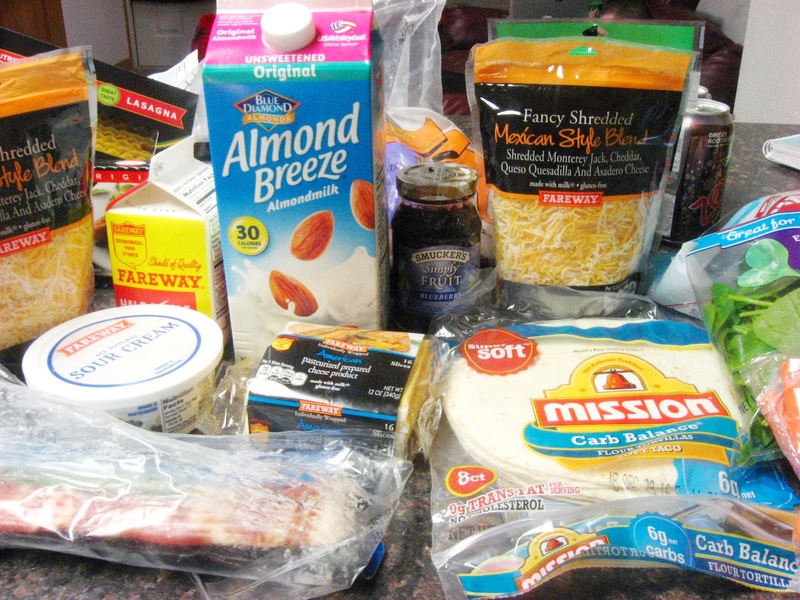 I’m hoping to be that inspiration for you today by sharing my THM grocery haul/menu plan. When I brought this idea up to my readers, they were all over it! I absolutely adore talking about healthy living on a budget, so I’m really excited to add this new feature to my blog! I’m still working out the details of what I want this post to look like, but I knew that this was a need in the THM community that could be filled, even if imperfectly. 🙂 I am considering making this a bi-weekly feature on The Fabuless Wife. If you’re looking for a weekly menu plan, please check out Darcie’s Dishes! She posts frugal menu plans each week and they pretty much rock. I have 4 people in my family including myself, a husband that’s not fully THM and still likes his junk food treats and two toddlers who lately are putting away as much as an adult! At the bottom of this post, you can find my grocery list of items that I bought and the price to give you an idea of what I’m working with! I like to keep things simple and I LOVE my leftovers! Here’s what I bought and the price. This week, I only shopped at Fareway. Not listed is special items for my husband and children like milk, saltines, snacks to have at work etc that cost about $30! My total this week was $120 and change. I planned all my meals ahead of time and wrote my list according to those meals, because that helps me to stay frugal and sane in all honesty!